Marketing agencies have evolved to keep pace with the rapidly changing B2B landscape. 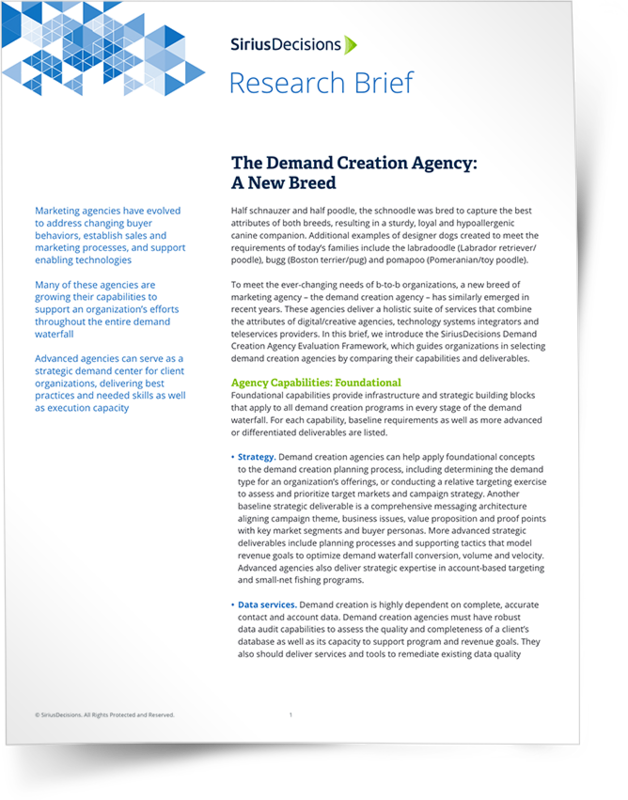 In a new research brief, the experts at SiriusDecisions outline a framework for B2B companies seeking to evaluate the new breed of demand creation agencies. A top-notch demand creation agency can be a catalyst for marketing, helping to drive results in the short term and improving internal knowledge and skills over the longer term.